In Europe, the “gap year” is common. It is usually taken in between the end of high school and start of university, or sometimes after the end of university before going on for further schooling or starting a career. During this time, people travel and often volunteer or work in foreign countries. This isn’t so common in the US, but it should be! My version of a gap year was my 6-month semester abroad in Thailand during my junior year of university at Loyola Maryland, and then 10 months there, teaching English after I graduated. Even before Thailand, I had a deep-seated love of travel instilled in me from our family cross-country camping trips and a trip to Italy in high school. 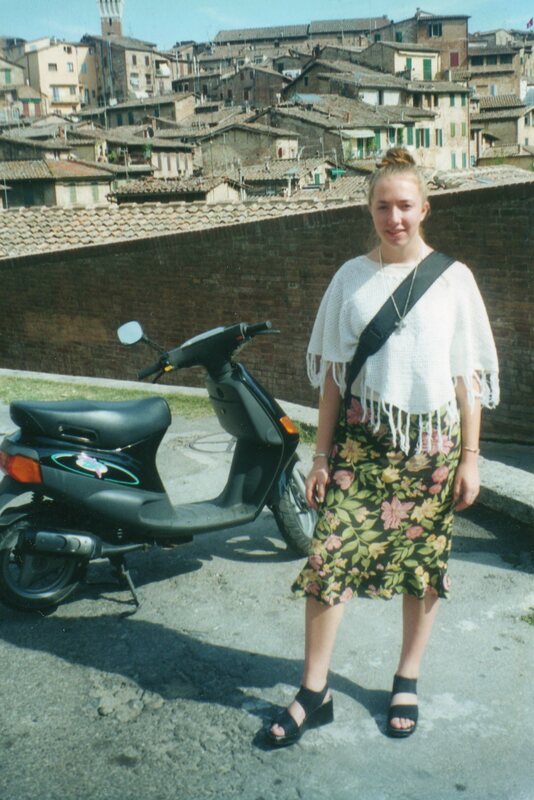 High school me, ready to steal a moped and move to Italy! While I lived in Thailand, I became more self-confident. A country girl, I found my way around a big, crowded city where I couldn’t read most of the signs or speak the language. You get over yourself quickly when you need to find the bus station and the only way you can describe it is to say, in bad Thai, that you’re looking for the “place where the Big cars go away from.” And despite the challenges, I made itineraries, booked flights, bargained for accommodations and became somewhat comfortable with the fact that I didn’t always know what I was eating. 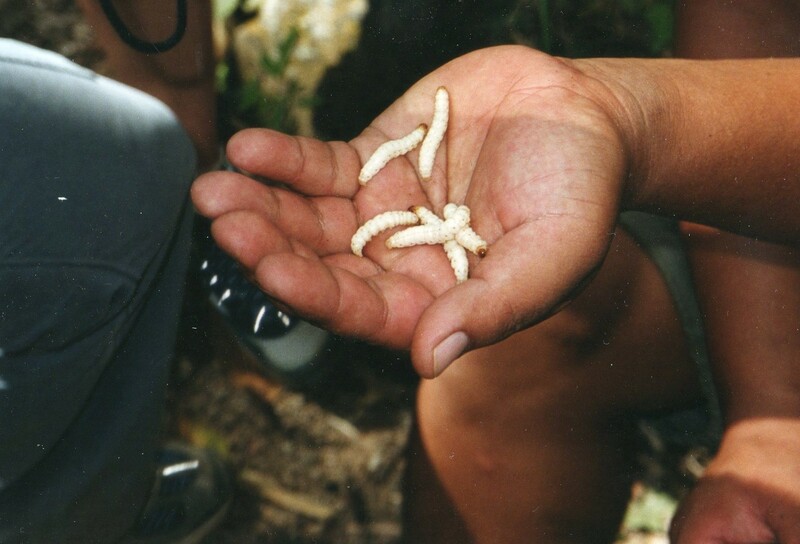 I knew what these were before I ate them--grubs fresh from a piece of bamboo! Dealing with language difficulties, eating different food every day and interacting in a foreign culture, you begin to see your home through a different lens. There is so much we take for granted, and you recognize this with a sudden flash of appreciation when you’re sitting in a bathroom stall and there’s no roll of toilet paper because the Thai people carry their own. Just a demonstration! Thai "toilet"
By having these experiences at a young age, you discover yourself and your values before you start making major life decisions. At the very least, you can get some of the partying impulses out so that you’ll actually study at university. And some universities even encourage their students to have a gap year before starting their freshman year. Though my travel wasn’t a gap year proper, I gained confidence, self-awareness and perspective, but most importantly I gained a sense of wonder. When you catch a glimpse of the world, you realize how much more is out there. Knowing this, it would be hard for me to settle on a life that didn’t inspire and delight me. And that’s what the self-styled life is all about. Have you had something like a gap year (or even an actual one)? Oh, and the “demonstration” of the Thai crapper doesn’t leave much left to the imagination. Hahaha thanks, Maya. Yeah… lovely, those things! Jean, I love your blog. Keep writing. Good for you! I agree there should be something like this in the US. I did not have a gap year, but traveled intensely from my junior year in high school through graduate school. It changed me. 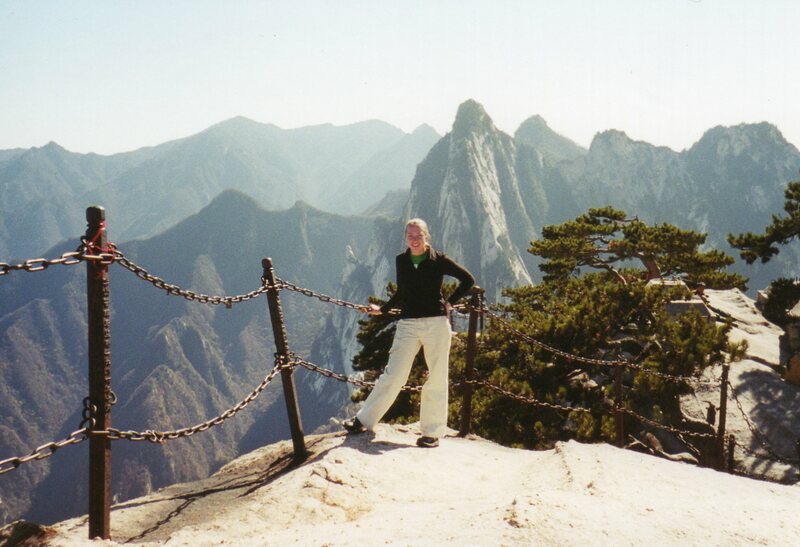 Many of these memories are found in my blog under the categories of Travel, Mexico, Art, etc. Another unique post; thank you for writing it. Hi Georgette! Thanks for following–I’ll check out your travel posts, too! Interesting adventures you’ve had, too! Thanks for sharing! Jean, once again, you hit a nerve with me. I took 6 months off before opening my restaurant to travel solo through Europe. It was important to me to see how others viewed life, what their values were, and mostly prove to myself that I was resourceful and could take care of myself. To this day, I still appreciate a good shower- after taking way too many in moldy hostel bathrooms..but I also realize that there are many ways to find beauty and satisfaction in life- we need not keep up with the jones’- we need to find our own pace and stride and music. Thanks for your thoughts! “…our own pace and stride and music” I love that! Happy to have discovered your blog! Do you also have a Twitter handle so I can follow you?